Just because you’re pregnant doesn’t mean you don’t want to party! Ok, so you may be holding off on the booze, but there’s no reason why you should hold off on the sparkle. Party dressing isn’t the easiest at the best of times, and us Brits are notorious for dressing down when dressing up. 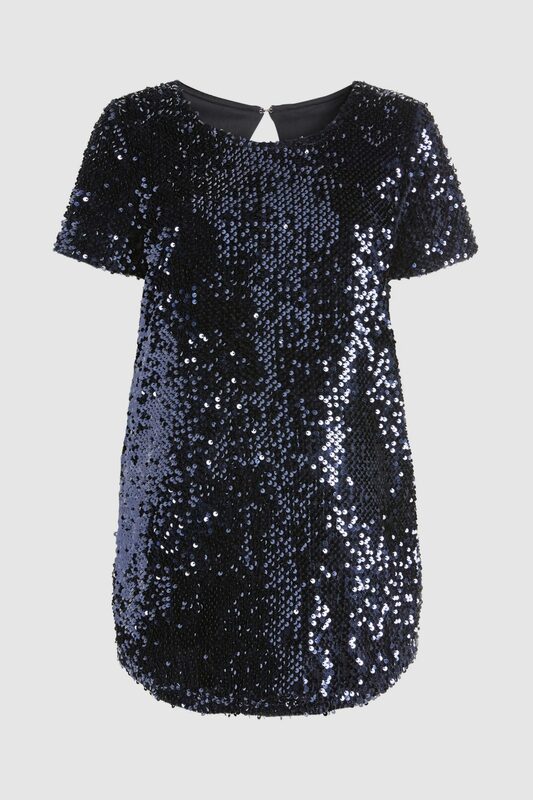 However with Christmas round the corner, why not add a bit of magic to your maternity wardrobe? One of my biggest annoyances with many maternity brands is the sheer lack of going out clothes. Just because you’re expecting, doesn’t mean you’re going to sit on the sofa for nine months. (By the way, if that’s what you do want to do then by all means go ahead!) Maternity brands need to cater for all pregnant women, whether they’re sat at their desk, lounging at home, or out on the town. 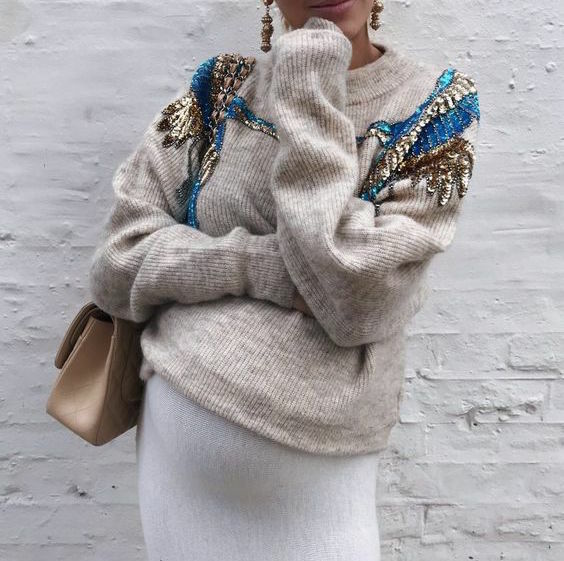 You may think wearing sequins when you’re pregnant may make you look like an actual bauble however there’s nothing to say you have to go all out. 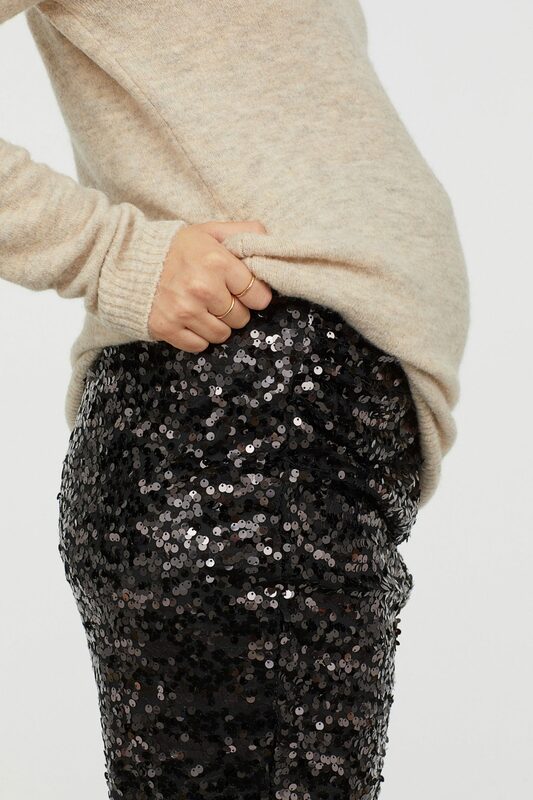 A few subtle sequins can make all the difference to your outfit and make you feel like partying even if you’re bump is saying no! Remember, you don’t need to just stick to maternity, non-maternity maternity is often the way to go. 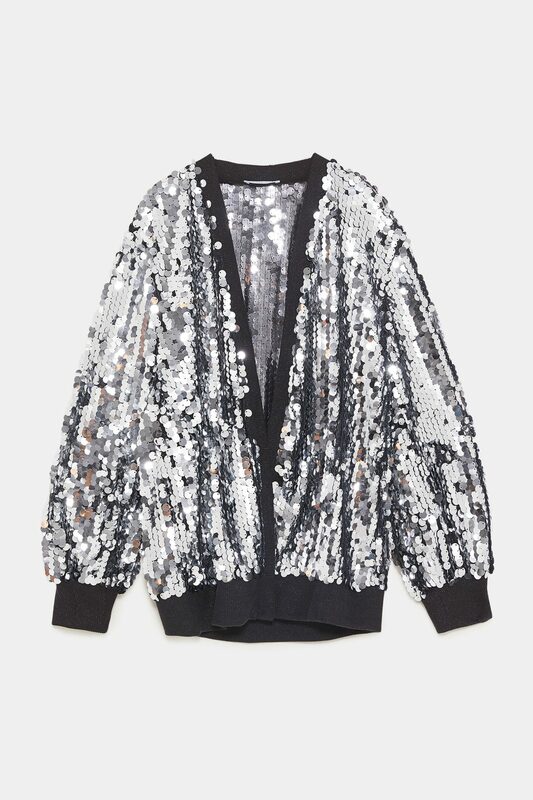 Also, there’s nothing to say that sparkle should only be saved for night time. 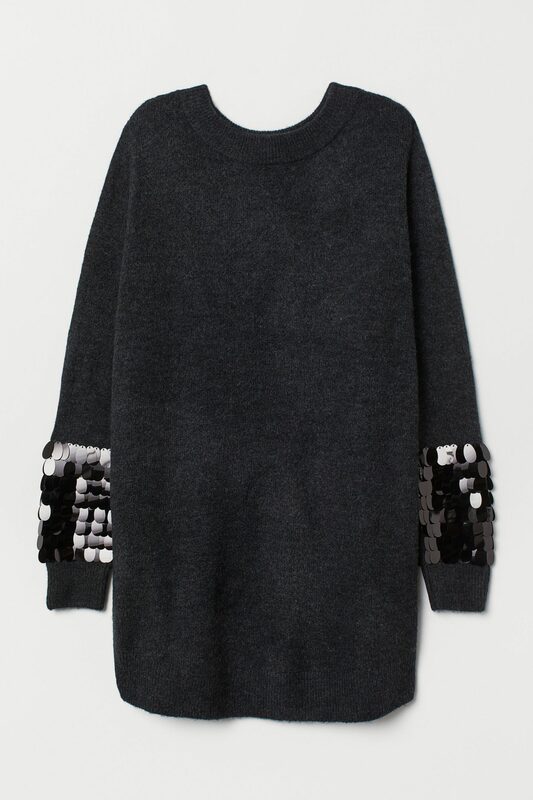 Sequins can be a great look for the day time too.